This century has witnessed China’s emergence as the main challenger to the superpower status of the United States. In a dramatic fashion, China is beginning to establish its foothold in the highly strategic, energy-rich region of the Middle East by forging strong ties with regional powers and gradually challenging the U.S.-Israeli regional dominance. Thanks to decades of double-digit economic growth and accelerating military modernization, China now has both the need for and the capability of engaging the Middle East. Confined to the sidelines during the Cold War, the Chinese leadership finally found a window of opportunity to enter the regional politics and expand its military exports. During the 1980s, China increasingly criticized Soviet disinterest in assisting regional “revisionist powers” such as Syria against U.S. allies. Subsequently, it sought regional influence through forging strong ties with leading anti-U.S. powers in the region. The Middle East was a staging area for Cold War conflicts between the United States and the Soviet Union. Will the region become a battleground in the twenty-first century conflict between a rising China and a stagnant United States? Through the 1990s, China provided an increasing amount of ballistic missile technology to Syria. But the key partner to emerge in the region was Iran. During the Iran-Iraq war, China was a key military supplier for Iran. From the 1980s to 1997, support for nuclear programs became a pivotal element of Beijing’s effort to forge a strong partnership with Iran. In the 1990s, Iran embarked on a major program of reconstruction and gradual increases in oil prices accelerated Iran’s hopes for a comeback. The reconstruction program expanded Iran’s industrial base and reinvigorated the population and economy. U.S. wars in Iraq and Afghanistan eliminated Iran’s enemy to the East and West. Iran was now at a new position of strategic ascendancy and began to step-up its rhetoric against U.S.-Israeli tandem. Faced with such powerful adversaries, it sought deeper cooperation with the rising superpower, China. An emboldened Iran honed its regional influence and consolidated it in Iraq, Lebanon, occupied Palestine, Syria and even in Afghanistan. China’s bourgeoning ties with Iran are not really surprising. Iran is a host to the second largest reserves of oil and natural gas. It is also a traditional regional power with a huge network of allies and proxies across the region. For Iran, faced with increasing investment vacuum and international isolation over its nuclear program, China represents a potential remedy for the development of its vast energy resources and a source for modern military technology. China sees Iran as a counter-force to U.S. allies in the region and has contemplated establishing a naval presence in the Persian Gulf where 40 percent of global energy is transported. China has also been a major source of support against the UN Security Council calls for severe sanctions against Iran. As the Atlantic allies together with Russia pushed for more sanctions against Iran, China consistently sabotaged the efforts. In January, it signaled its disinterest in any sanctions by a sending low-level representative to the P5+1 talks (the Security Council plus Germany). During the February Munich Security Conference, China’s foreign minister vehemently opposed any prospects of sanctions against Iran. The position was reiterated during the April meeting of the leaders of BRIC (Brazil, Russia, India, China). China’s trade-investment interests in Iran are deepening alongside the growing strategic as well as ideological alignment between the two powers. In the last five years, China has emerged as the major investor in Iran, with an estimated $120 billion worth of energy investments. Despite the sanctions already in place, trade between the countries grew by 35 percent in 2008, to $27 billion. In 2009, China signed over $8 billion in new energy investments. Seemingly, there is an emerging China-Iran tandem. A testament to China’s growing diplomatic sophistication is how it has endorsed alternative narratives, norms, and visions to challenge highly unpopular U.S. policies in the Middle East and the Washington consensus on economic development globally. In 1996, China established the Shanghai Cooperation Organization to balance NATO expansion in central Asia and provide an alternative security community in greater Asia. Later, in direct contrast to the unpopular American approach, China developed the Beijing Consensus which emphasized state-led development, non-interference in the affairs of other countries, and trade without political pre-conditions. As anti-U.S. sentiment grew in the Middle East, China found it easier to expand ties with all relevant regional powers, including America’s Arab allies, Egypt and Saudi Arabia. China’s strategic maneuverings have been a savvy fusion of mercantilist foreign policy and security-focused diplomacy. Saudi Arabia’s vast energy reserves are vital to China’s long-term economic interests. In 1988, China provided a desperate Saudi Arabia with intermediate range CSS-2 missiles to meet the country’s strategic needs, something that the U.S. refused to do. Since then, relations have grown. Currently, Saudi Arabia is China’s biggest supplier of crude oil—followed by Angola and Iran—and China is the Saudis’ biggest export market, surpassing the troubled U.S. market. Since 2006, President Hu Jintao has visited the Kingdom twice while King Fahd chose China as his primary destination. Every month, the Chinese send representatives to the Kingdom to ensure relations are on track and energy supplies are secure. Since the establishment of ties between the two countries in 1990, trade has grown from an initial amount of $290 million to about $41.8 billion in 2008. In 2009, 70 Chinese companies, mainly in construction and employing about 16,000 Chinese workers, were active in the Kingdom. Since 2007, the Chinese have won more than $2 billion in non-energy contracts. In strategic terms, the Saudis are seeking to diversify their foreign relations—or wean themselves of dependence on the United States—by expanding ties with China. They also view their growing ties with the Asian power as a springboard to tap the growing market of Asia as the west struggles to absorb Saudi oil. Egypt, the strongest Arab military, is a key U.S. ally under Mubarak and has been the second largest recipient of U.S. military aid after Israel. Given such intimate U.S.-Egyptian ties, the Chinese influence in the country should be minimal. But things are beginning to change. By 2008, bilateral trade stood at $6.2 billion and by 2010 China is expected to become Egypt’s largest trade partner. Military ties between the two countries have also been improving. In recent years, high-level military and defense officials have regularly visited each other and worked on ways to expand relations further. Almost a year after a Chinese official met top Egyptian Air Force commander, Egypt announced its plans in 2010 to co-produce an advanced fighter under the Chinese-Pakistani JF-17 thunder combat aircraft project. The Egyptians view China as a strategic partner that could help them achieve military self-sufficiency. Through a clandestine set of operations from the 1980s until the end of the century, Israel provided China with almost $4 billion in sensitive technology. These exports, some traced back to the United States, contributed immensely to China’s military modernization by upgrading Soviet technology and incorporating U.S. technology. As China’s relations with Syria and Iran improved, there has been a marked deterioration in China-Israel relations. Pressure from the United States has also prompted Israel to put some distance between itself and China. In recent years, Israeli officials angered the Chinese leadership by making diplomatic and cultural visits to Taiwan, and the Israeli media has implicitly acknowledged Taiwan’s sovereignty. Since Deng Xiaoping, China shifted to a more pragmatic view of the Israeli-Arab conflict and has emphasized peaceful mutual co-existence, recognition of Israel by its Arab neighbors, and Israeli withdrawal from occupied territories along with a security guarantee by Arab countries. Although China is part of the Security Council, it is not formally part of the Middle East Quartet of the United States, European Union, Russia, and the UN. China has yet to exercise a decisive role in the resolution of the Arab-Israeli conflict. Although China has been more sympathetic toward Hamas, Hezbollah, and other resistance groups in the region, it opposes terrorism as a means for accomplishing political objectives. China’s push into the Middle East is a calculated extension of its rising global status. 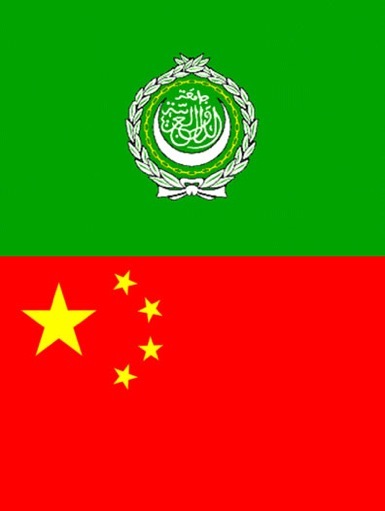 Already a major ally of the only Muslim nuclear power—Pakistan—China is deepening its ties with the main U.S. foe in the region, Iran, while wooing America’s main Arab allies. Consequently, China’s support has emboldened Iran’s defiance and dampened prospects of serious sanctions. U.S. critics of China, particularly on the right, view China as a strategic competitor rather than a strategic partner and are deeply apprehensive about China’s growing influence in the Middle East. They understand China’s expanding ties with regional powers—such as Iran, Saudi Arabia, Syria, and Egypt—as a direct challenge to U.S. control over strategic energy reserves in the region and are especially concerned over Chinese exports of strategic military hardware such as ballistic missiles to its allies in the region. They see China as blocking attempts to isolate Iran, and empowering anti-U.S. forces in the region, hence undermining U.S. power in the region. China has also opposed U.S. military expansion in the Persian Gulf and military adventurism in Iraq and Afghanistan. It has described the United States as a source of destabilization in the region. China has also repeatedly criticized U.S. plans to sanction and isolate Sudan over allegations of genocide, instead calling for a peaceful resolution of the issue. In general, China views sanctions as a counterproductive and ineffective means for policy change. The United States remains the preponderant military power in the world. But while paying a heavy price—materially and ideologically—in its wars in the region and struggling with a troubled domestic economy, the United States watches as China positions itself at the center of regional politics and swiftly expands its investments, trade, and military relations with powerful regional players. Flushed with cash and clout, Beijing is changing the regional balance of power even as a relative newcomer to the Middle East. Washington, meanwhile, is too distracted by its wars to do much more than observe the tectonic shifts. Richard Javad Heydarian is a Manila-based analyst focusing on Middle East affairs. This article was cross-posted on Foreign Policy in Focus (http://www.fpif.org/) and Right Web (https://rightweb.irc-online.org/).